If you’re looking for bedside lamps then you need look no further. Lots of new things have been added to the Furl ranges in recent months. And bedside lamps are now on the list of new things too. So your search can stop with us. Shopping for bedroom furniture should be as easy and possible. Wouldn’t it be just so nice to walk into a shop and say “I’ll take the whole set”?! It takes the pressure off you to find items that match. It takes the pressure off you to ensure that everything fits. And it also means only one delivery day. Winning right? How much do the bedside lamps cost? They are £215.00 each. They can be purchased individually too and don’t have to come as a set. If you’re not too sure initially, why not try one first? 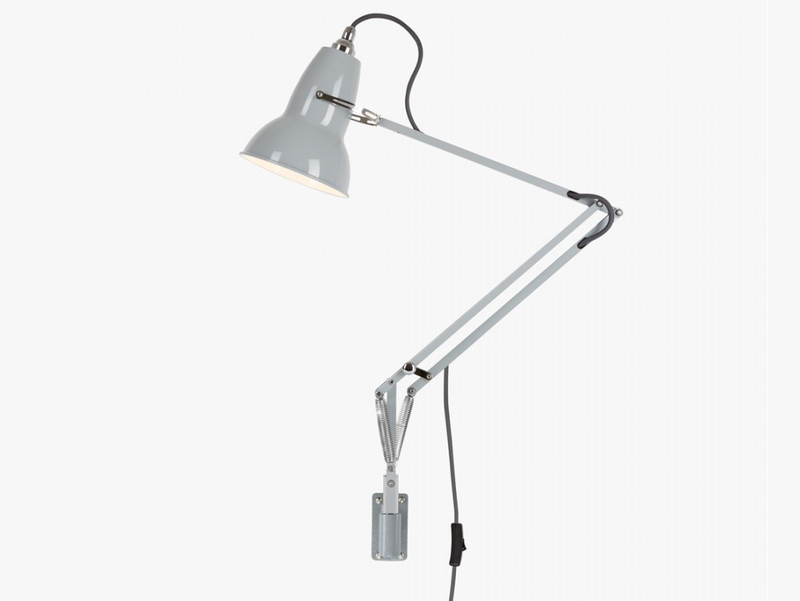 Anglepoise lamps work really well mixed and matched. 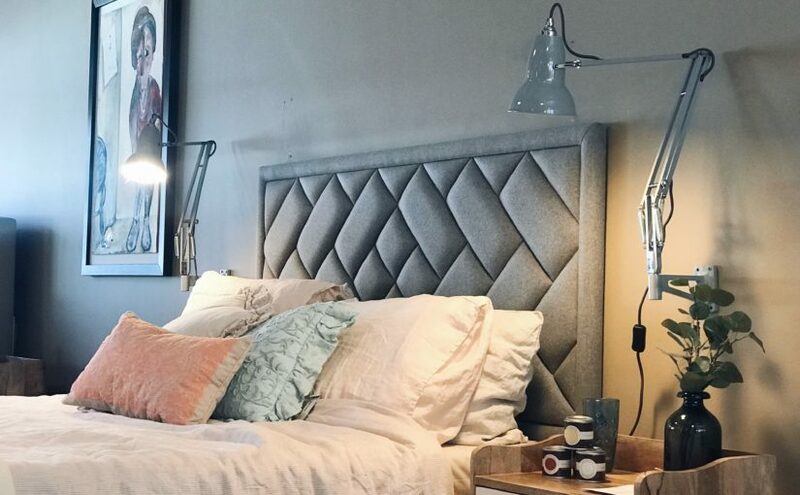 So just simply wall mount one of these bedside lamps one side of the bed. And then keep your existing table lamp on the other side of the bed. You may love the look. But it also might help you to decide that you want them to be matching. There is no need for text here – please refer to the inserted picture! The colour that we have on display in our showroom is the Dove Grey. But the bedside lamps can also come in White, Jet Black or Chrome. The maximum permitted bulb the lamp can take is a 20W CFL/10W LED E27. Although they are supplied with a compatible E27 bulb. (Either 15W CFL or 5W LED). The shade diameter is 14.5cm. The shade height is 15cm. The cable length is 200cm and the max reach is 60cm from wall mount to shade.